Jim Marpe, Republican candidate for Westport First Selectman. Westport CT. October 2013. During the past year, Avi Kaner and I have enjoyed the opportunity to meet many of our Westport neighbors going door to door and at venues all around our beautiful town. Grass-roots support for our campaign has been tremendous, with hundreds of Westport residents contributing their time and resources to support us. We've heard what was right about Westport and what needs fixing. Westport is a unique place, having evolved from an agricultural and artist's community into a multi-faceted town. Westport is vibrant, diverse, worldly and, yes, still artsy; blessed with natural beauty, robust town facilities, and blue ribbon schools. Maintaining the charm of our New England town becomes increasingly challenging as our daily lives get more complex, and we are bound by expensive pension and retiree medical plans. Navigating Westport's future requires leaders with a unique combination of vision, deep community service roots, and real-life experience managing and motivating organizations. The role of the selectman is that of a leader, creating a vision, building consensus from disparate views, and translating it into action. While experience in managing hundreds of employees across a myriad of areas is a crucial requirement, deep community service roots is also essential. Our 60 years of combined senior management leadership experience, proven town leadership, and extensive community service involvement make the Marpe-Kaner team uniquely qualified to meet these challenges. I have an undergraduate engineering degree from Case Western Reserve University and an MBA from the Wharton School. As a senior partner at Accenture, the global consulting and technology implementation company, I was in high demand by both municipal- and private-sector clients for my vision and complex problem-solving skills. I drove positive results through process and technology improvements, leading both small groups and teams of hundreds. I was able to successfully utilize this skill set frequently during my eight years on Westport's Board of Education, as both vice chair and interim chairman, by identifying structural changes for permanent savings and launching the Education 2025 strategic planning process. My community service leadership roles include Homes with Hope (board), Westport/Weston Family Y (chairman), Westport Rotary Club (foundation chairman), and Green's Farms Congregational Church (president), just to name a few. My wife, Mary Ellen, owned and directed the Westport Dance Academy for many years and is involved with ITNCoastalCT (board), which provides rides for seniors and vision-impaired adults. Avi earned bachelor of science and MBA degrees from Columbia University. As a principal at Booz Allen & Hamilton, Avi helped multinational companies address and surmount their operating, revenue, and expense challenges. He also led the financial component of a presidential commission under President Clinton. Now an owner of a New York City supermarket chain with 700 employees, his experience dealing with complex issues has greatly benefited our town. Avi was first elected to the Board of Finance eight years ago. As chairman of the BOF and all of Westport's pension boards over the past two years, Avi led the effort to stabilize our finances in a bipartisan, consensus-driven manner. He recommended a vice chair from the opposite party and assigned leadership positions to all members, regardless of affiliation. More has been done to restructure our employee plans in the past two years than in the previous six years combined. We are once again able to invest in our infrastructure and undertake important projects, including paving, rebuilding the Levitt Pavilion, downtown planning, Compo Beach redesign, Longshore golf maintenance outsourcing, and senior housing on Baron's South. Avi and his wife, Liz, volunteer extensively in our community, including at Chabad of Westport (chairman, Israel mission), Save the Children (chairman of six annual golf fundraisers), Conservative Synagogue (former chairman high holidays and trustee), the Westport schools, Hadassah (Liz is former chapter president), AIPAC (Fairfield County Council), and many more organizations. Our vision, to make Westport "One of the Five Best Places to Live in America" at a cost Westport taxpayers can afford, is detailed on our website at www.MarpeKaner.com. Our plan continues to fully support the excellence of the Westport schools. It leverages my private sector and Board of Education experience to enhance and consolidate shared services with the town. It further reforms the town's pension, health and benefit obligations, started under Avi's chairmanship of the Board of Finance. The plan renews Westport's commitment to seniors and encourages those who want to "age in place" the opportunity to do so through senior housing options and innovative programs. Our detailed platform has been mailed to every Westport senior. We will strive to have our town's services, parks, facilities, library and amenities at "blue ribbon" levels similar to our world-class schools. Our plan cares for the environment and maintains our town's historic commitment to the arts. We will lead the implementation of a cohesive Town Plan to enhance our quality of life and maintain Westport's small-town character. Westporters know that leadership is the combination of a bold vision that is successfully implemented. Our proven track record speaks for itself. We look forward to meeting the challenges ahead and implementing our vision in the town that we both love. 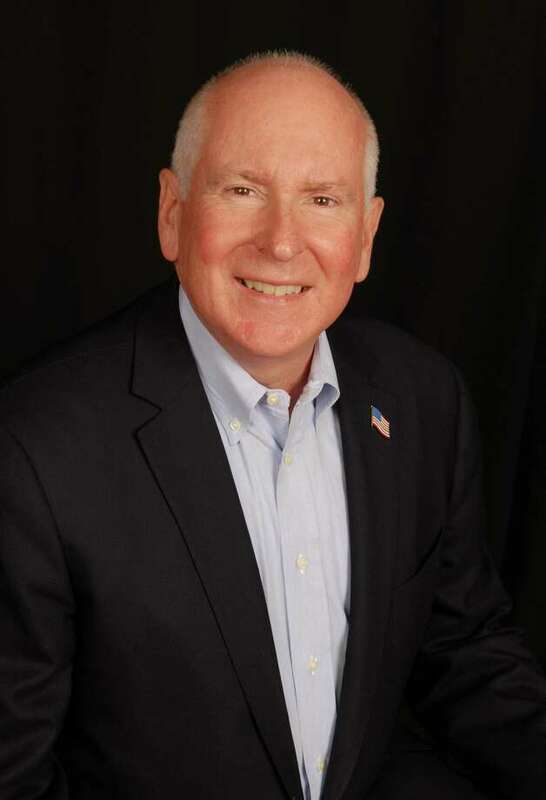 Republican Jim Marpe is a candidate for first selectman in the Nov. 5 election. His running mate, Avi Kaner, is the Republican candidate for second selectman.